A few years after their formation Bentley Amateur Rugby League Club began organising a very successful 7s tournament which was played annually on Tatters Field, the home of Doncaster Rugby League Club. 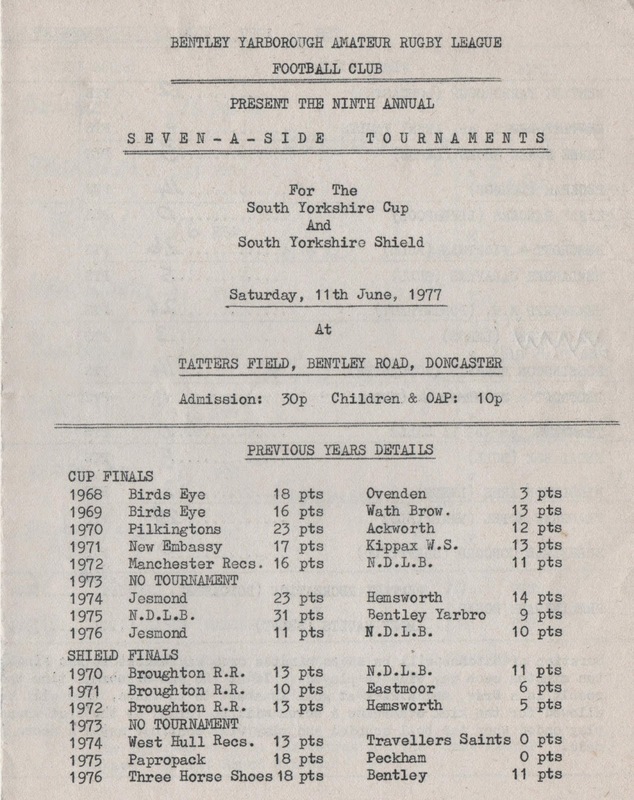 The first tournament was held in 1968 when Birds Eye, from Hull, beat Ovenden, from Halifax, by 18 points to 3 to become the first holders of the South Yorkshire Cup. The tournament always managed to attract some of the top amateur clubs and Bentley continued to organise the 7s right through to the end of the 1970s. Beecroft &Whiteman, from Hull, won the 9th Annual Tournament beating their 'B' team by 21 points to 11.